Please find our contact telephone number below and choose from the automated options that follow..
Lines available Monday – Friday: 09:00 – 17:00 and Saturday – Sunday: 09:00 – 12:00. Please use the form below to email us or use an email address below. Please note emails will be not be answered during Bank Holiday dates. Please note that tickets cannot be booked by email. Please note: emails are answered Monday – Friday, office hours. 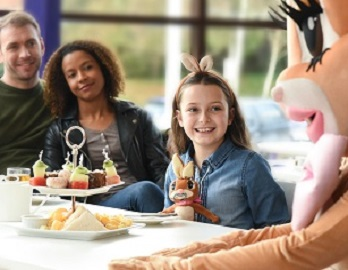 Cadbury World contributes towards a number of fundraising initiatives each year and we seek to make a positive contribution to the communities in which we operate through direct involvement in and support for community projects. Unfortunately our charitable budget cannot satisfy every request, therefore we do give priority to those within the Birmingham area. Every application must include a letter of authorisation from the charity you are fundraising on behalf of. 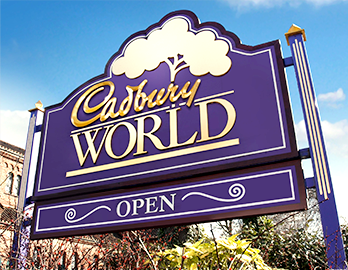 If you feel you meet this criterion please write to Charitable Requests, Cadbury World, Linden Road, Bournville, Birmingham, B30 2LU or send your request to us via email at: cadburyworldgeneralenquiries@mdlz.com with the relevant documentation. Find directions to Cadbury World here. Call +44 121 393 6004 to order gift vouchers for the special someone. Your message will be answered within 5 working days. Please note tickets cannot be booked by email. To book tickets or to speak to us now, call +44 121 393 6004. We value your trust when sharing your personal data with us. We always treat your data in a fair and respectful manner limited to the purpose above mentioned. If you would like to know more about how we handle your data, please read our Privacy Notice. You may choose to opt-out of receiving these types of email communications at any time by emailing cadburyworldgeneralenquiries@mdlz.com.